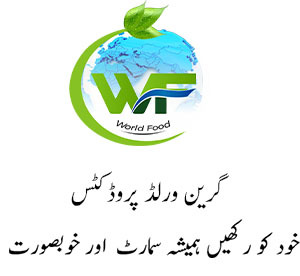 Green Tea Powder Price In Pakistan - Green World Balsam Tea - The Health Balsam Pear Is Also Called “cool Melon” With Its Cold And Brine Nature, And Rich Contents Of Vitamin B1, Vitamin C And Many Minerals, It Relieve Thirst, Refreshes And Nourishes The Appearance And Accelerates The Metabolism. It Also Improves Digestion And Relieves Constipation. It Makes A Full Use Of The Main Compositions Of Balsam Pear Such As Insulin, Aminophenol, Balsam Glycoside And Fucose. It Doesn’t Contain Any Anti-septic And Has Its Original Natural Flavor: Brine But Not Astringent And Tasty With A Faint Scent. It Is Pure And Drinkable Natural Green Beverage With Advantageous Functions. Green World Balsam Tea Can Get Rid Of Fever, Eliminate Toxin, Nourish Blood , Liver, Spleen And Kidney, Relieve From Fatigue And Refresh The Eyes. Green Tea Has Long Been Used By The Chinese To Alleviate Headaches, Body Ache, Poor Digestion And Improving Well-being And Life Expectancy. Green Tea Is Rich In Bioflavonoids, Polyphenols, Vitamins And Minerals, And One Of Its Main Properties Is To Fight Free Radicals That Cause Oxidative Stress In Diabetes. 2. Polypeptide P – A Plant Insulin, Reduces Blood Sugar And Blood Lipid Level Safely. 4. 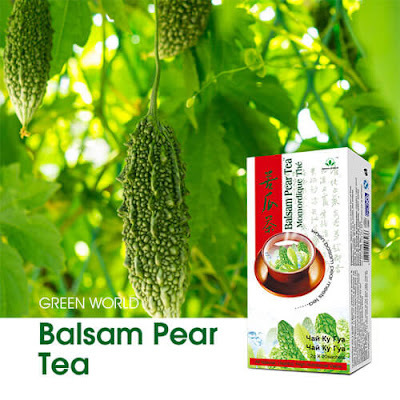 Green World Balsam Tea Alleviates Complications Of Diabetes Such As Thirst And Dry Mouth. Peope Suffering Constant Cold, Fever And Body Ache. Ingredient: Balsam Pear Powder, Green Tea Powder.